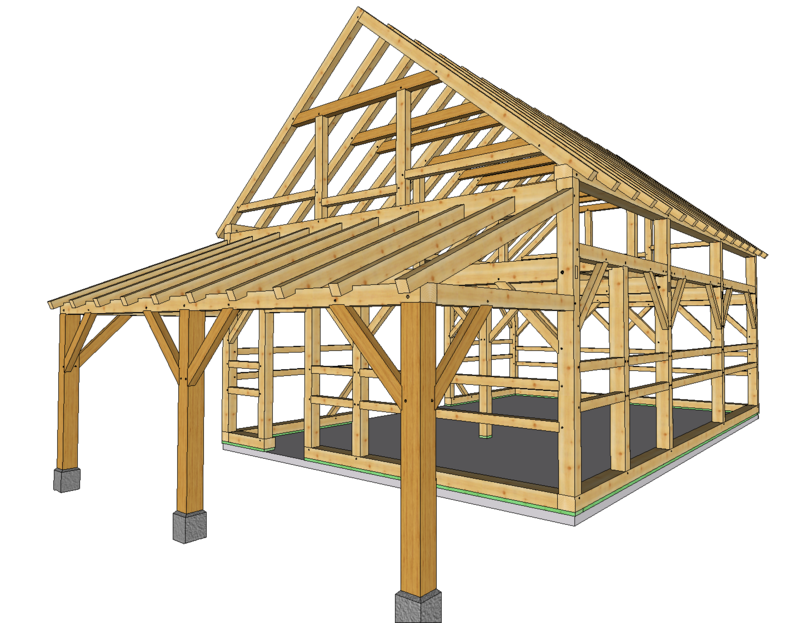 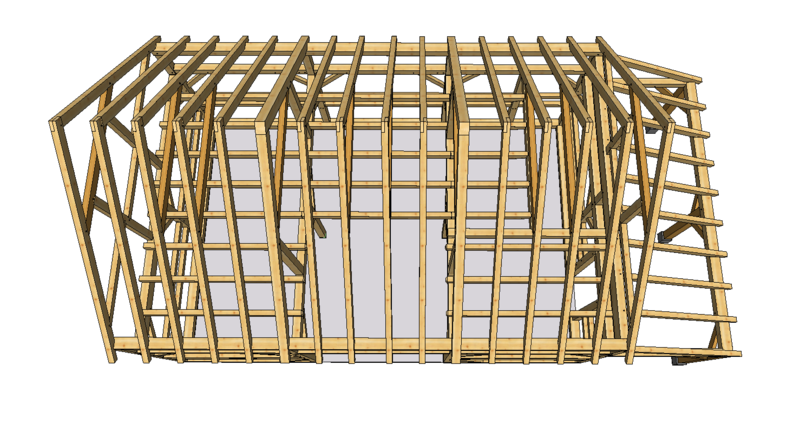 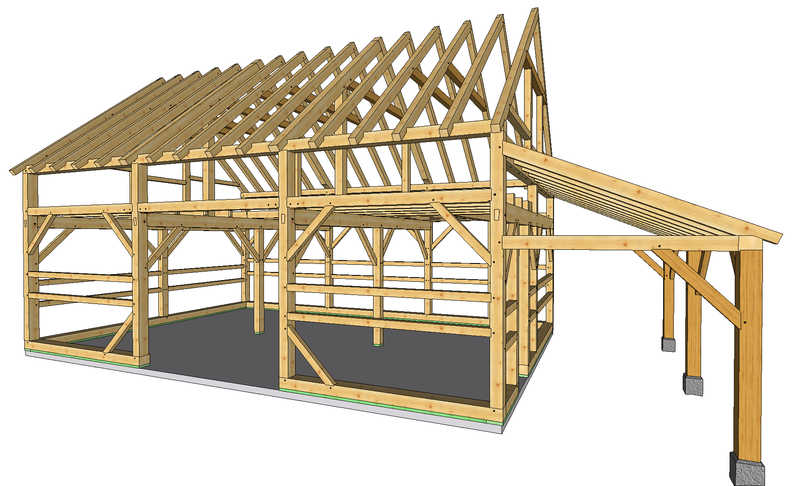 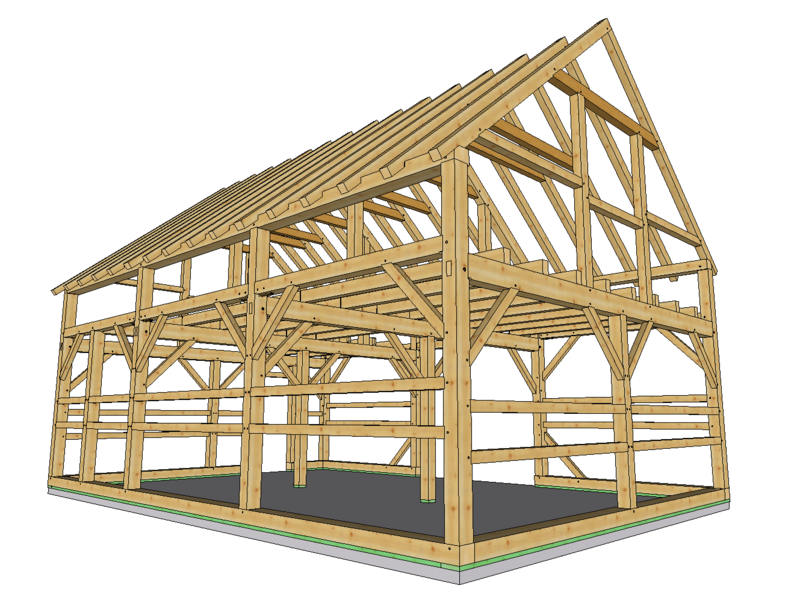 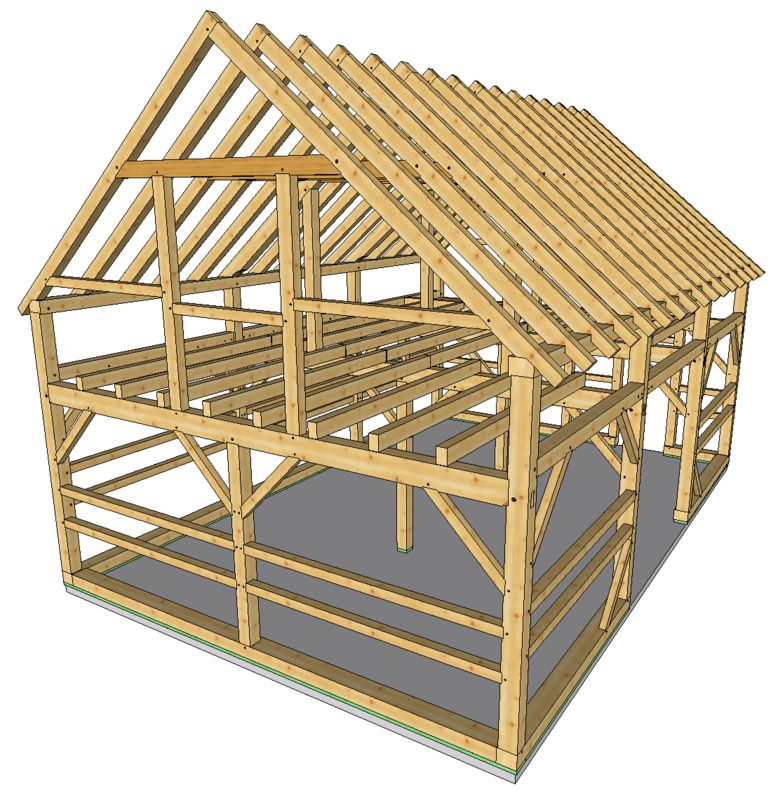 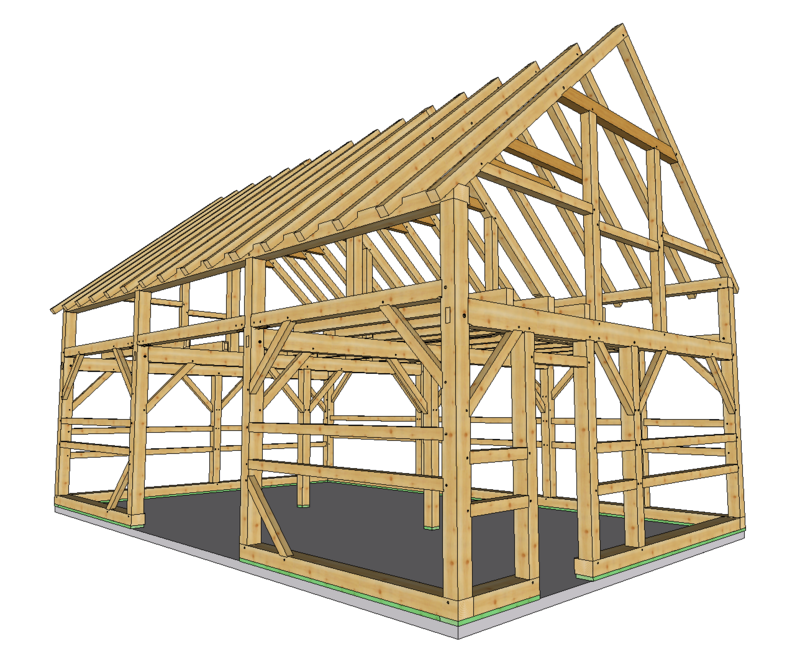 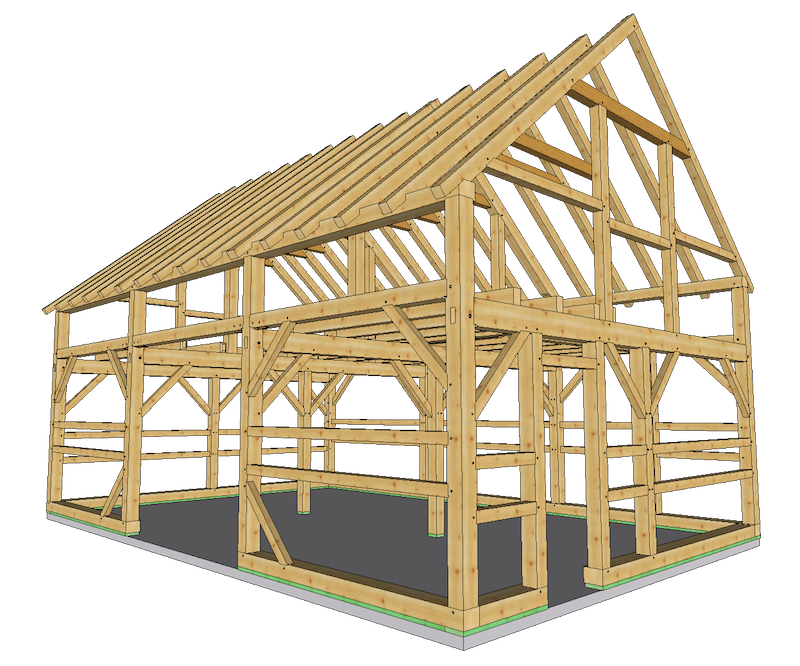 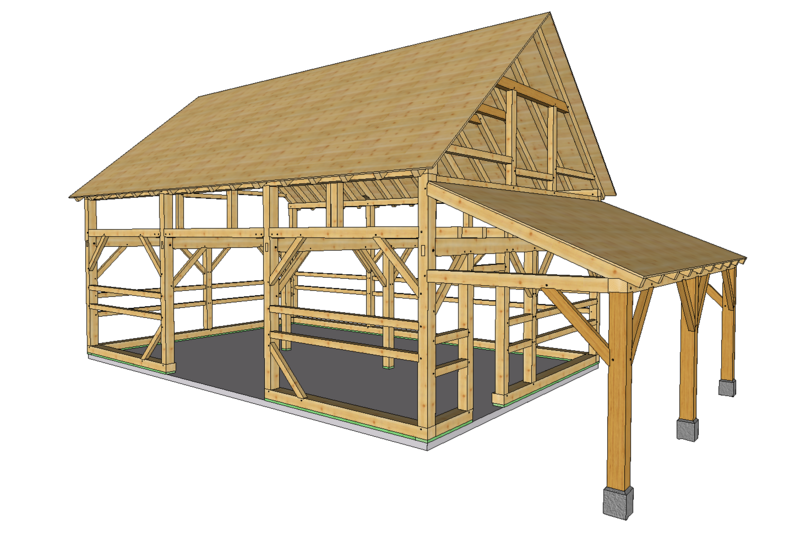 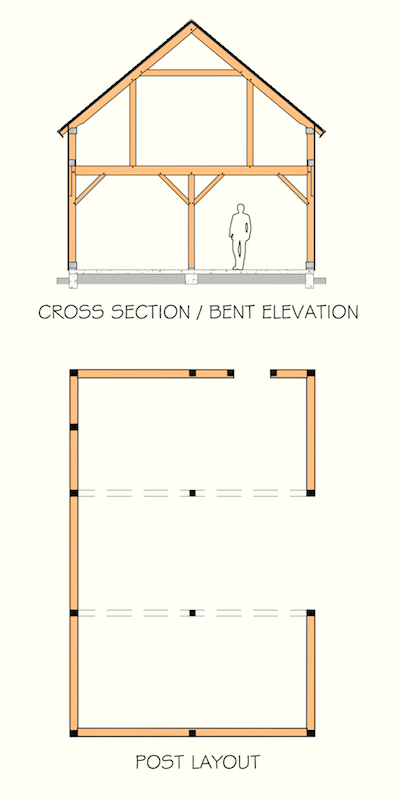 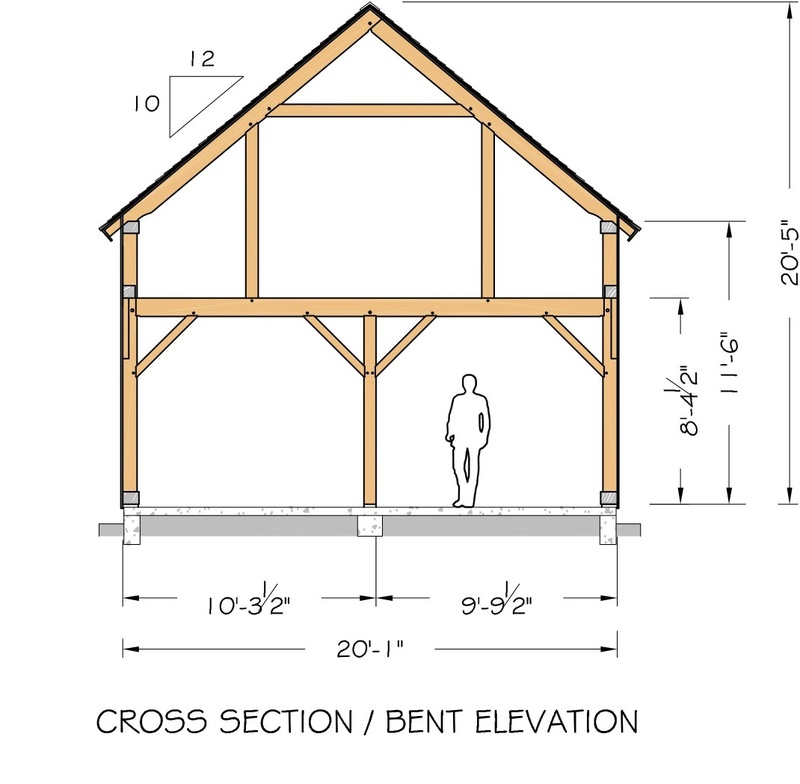 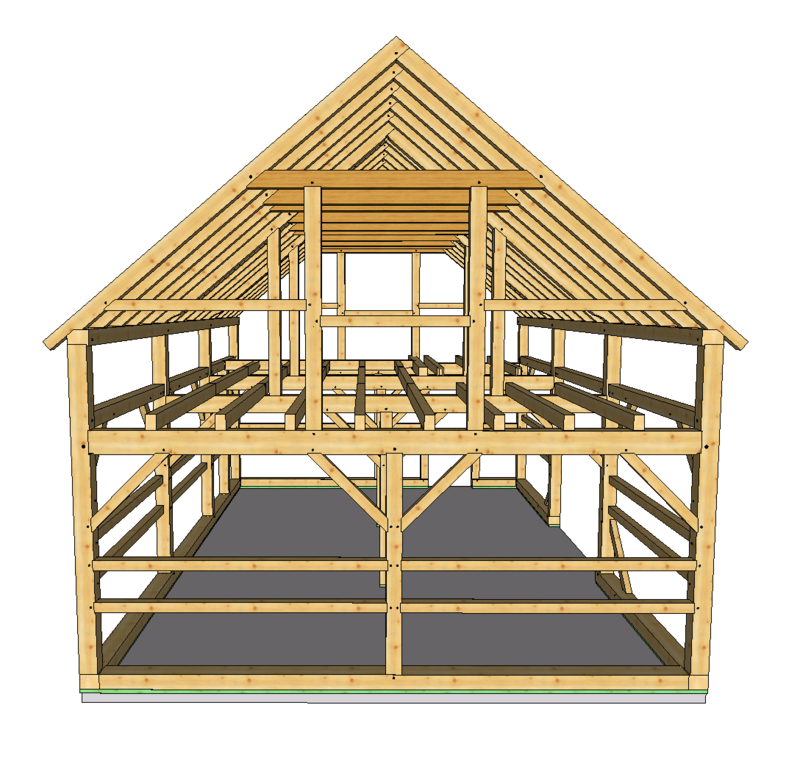 The Weather Hill Barn is a modest sized timber frame design with handsome lines and classic proportions. 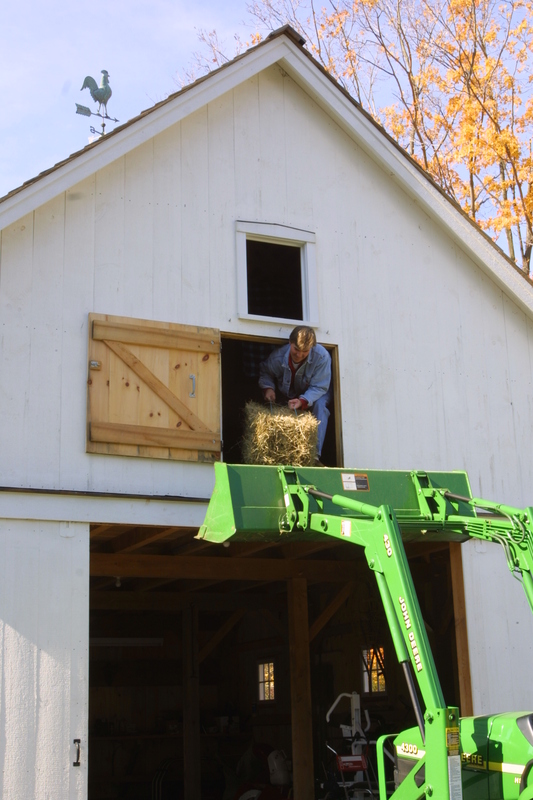 Over the years we've built a number of Weather Hill variations that have served to house workshops, animal stalls, cars & tractors, hay storage, and a myriad of other uses. 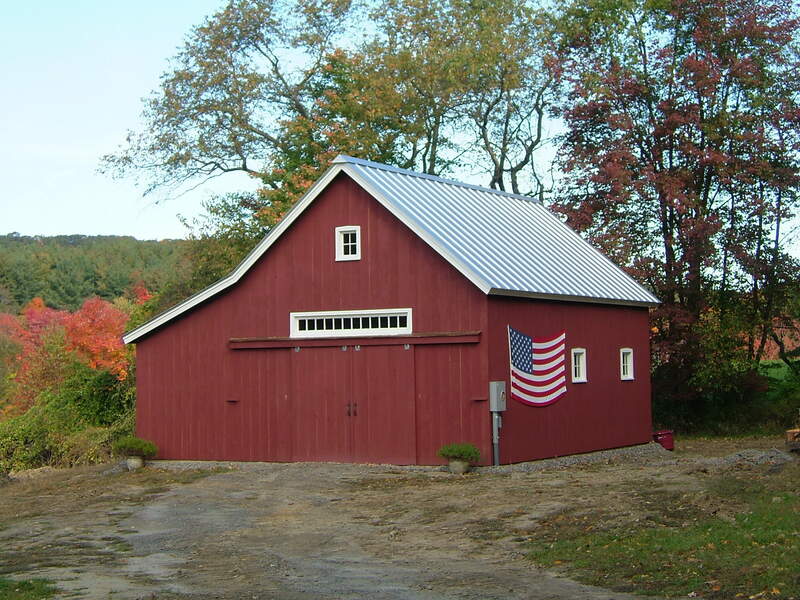 Often clients have opted to enhance the basic design by adding an auxiliary shed to either a gable end or along an eave wall. 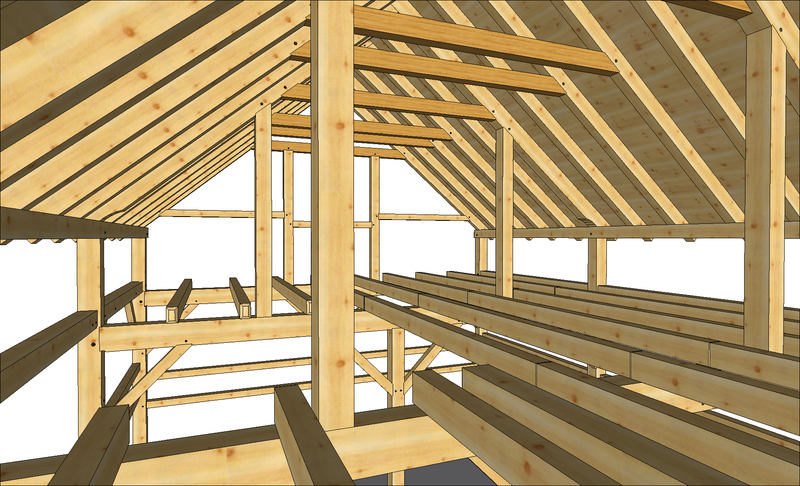 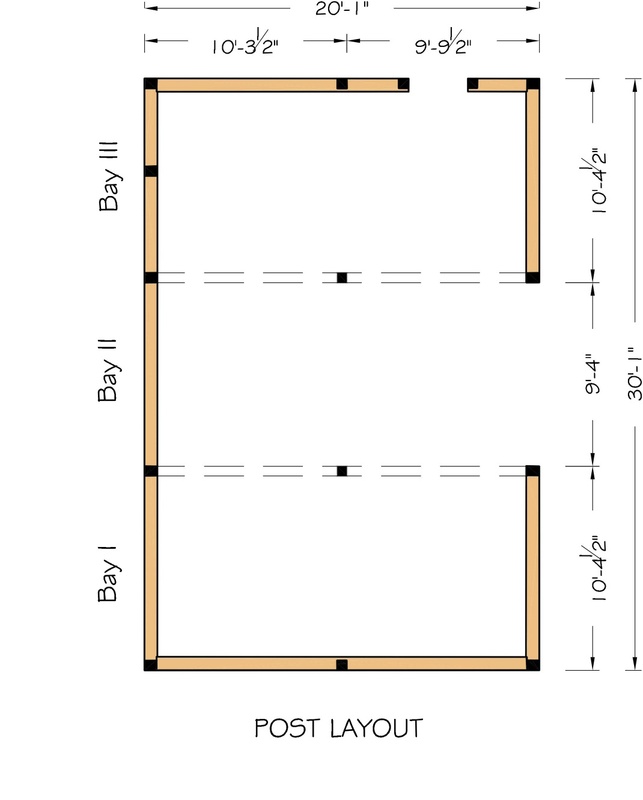 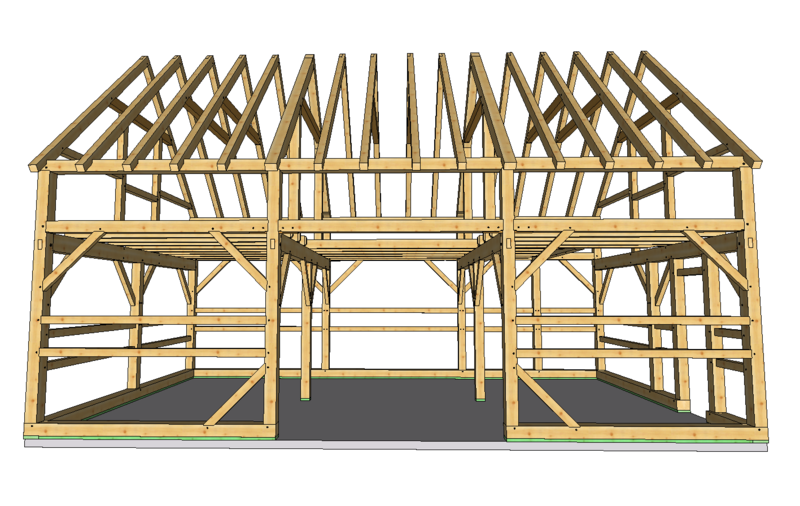 The 10 pitch roof allows for ample headroom and storage space in the ½ story loft. 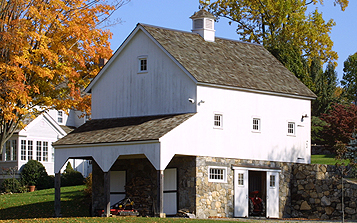 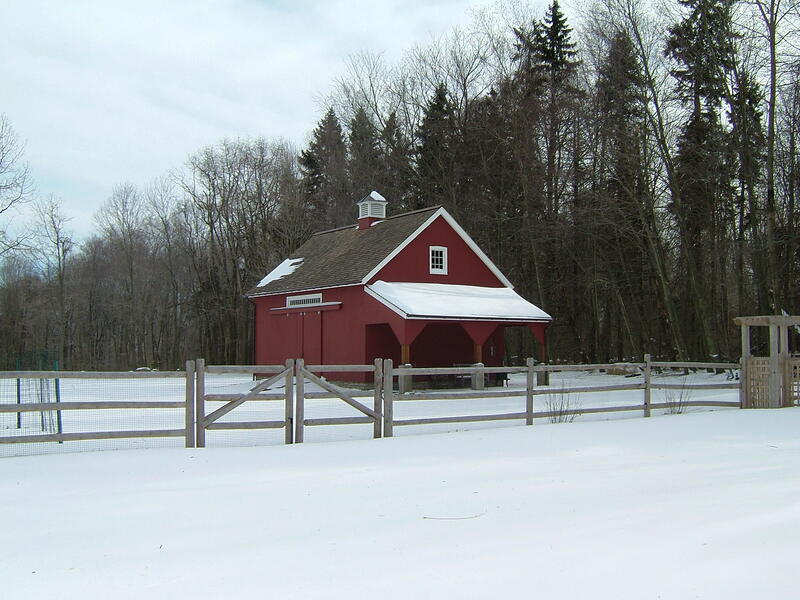 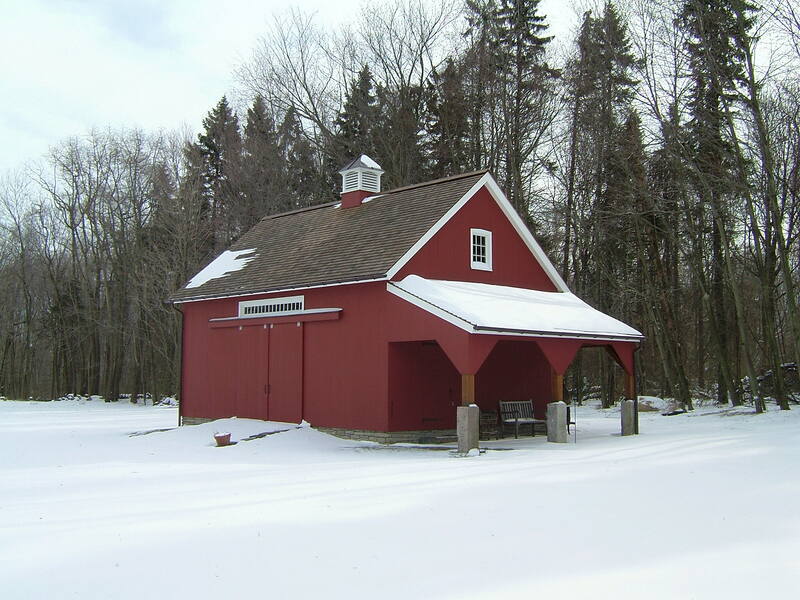 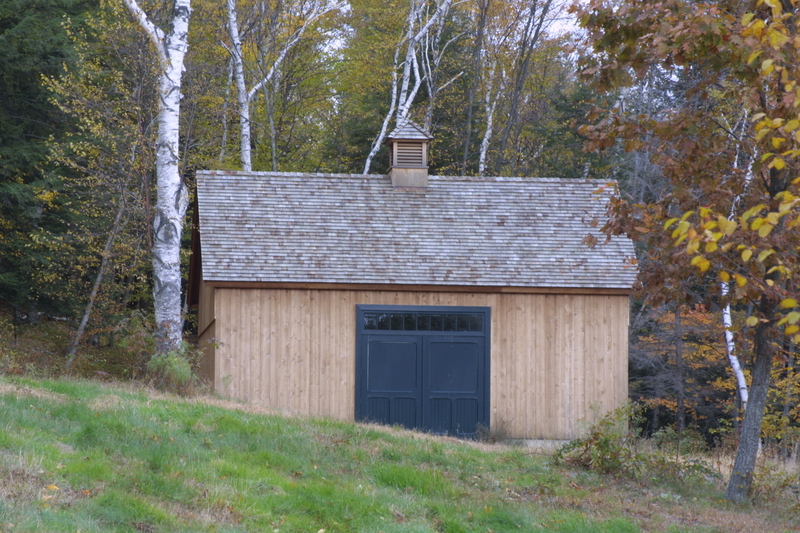 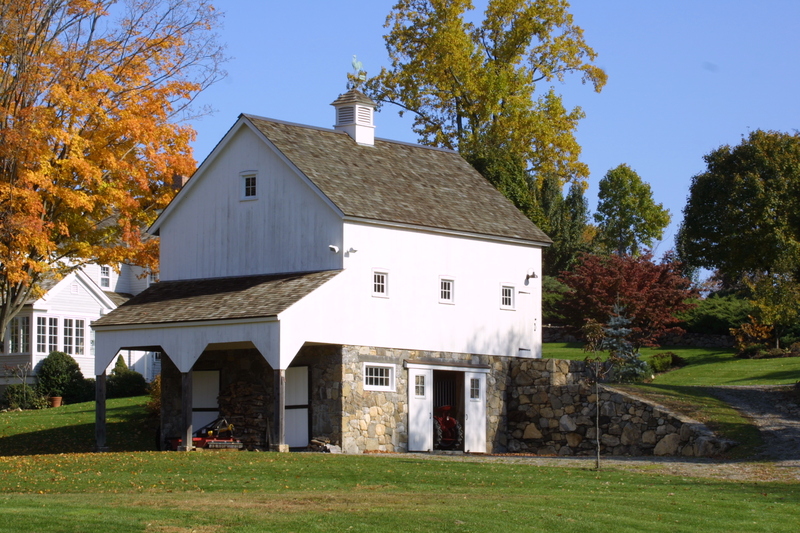 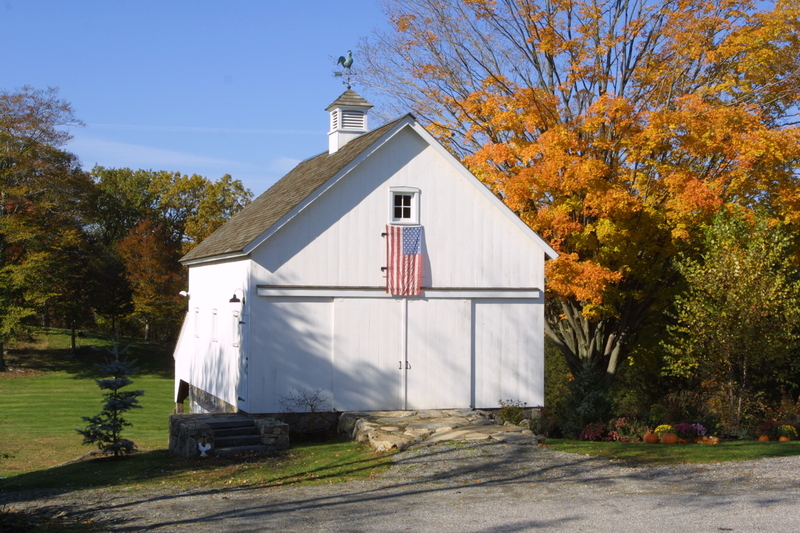 With its authentically pegged mortise & tenon joinery throughout, the Weather Hill Barn is a true thoroughbred!